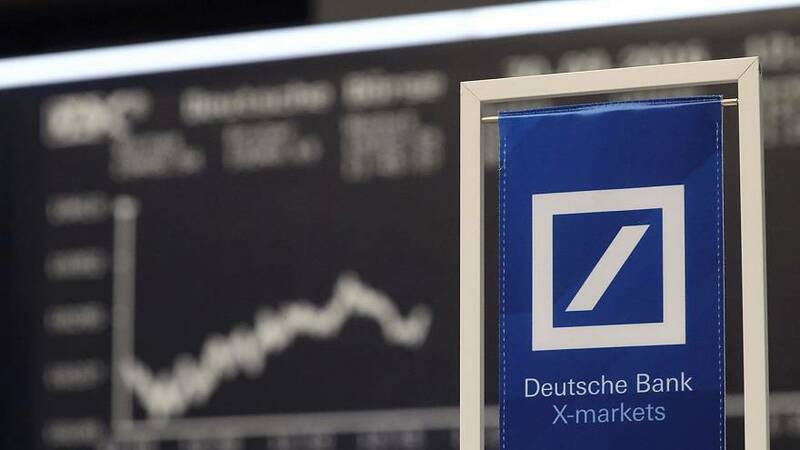 They were circling the wagons at Deutsche Bank on Friday as it shares continued their gyrations – down nearly nine percent at one stage before turning positive in the afternoon. Chief Executive John Cryan sent a letter to staff on Friday seeking to reassure them. He addressed reports of the departure of a few hedge fund clients, blaming unfounded speculation and “certain forces” that wanted to weaken trust in the bank. Cryan sought to put the moves into perspective, saying: “We should look at the complete picture.” He wrote that Deutsche had more than 20 million customers and reserves of more than 215 billion euros. “We are and remain a strong Deutsche Bank,” Cryan stressed. Investors were selling due to fears Germany’s largest bank will not be able to cover mounting legal costs. If faces having to pay out billions in fines and settlements from alleged wrongdoing dating back to the 2007/2008 financial crisis. Banking stocks around Europe slumped and all market indexes were lower. But by who? The German government has denied a newspaper report that it was working on a rescue plan for Deutsche Bank, which insists it is stable. The problem is perception; if investors don’t think it is the sell off could snowball with the effects rippling out through the global banking system.